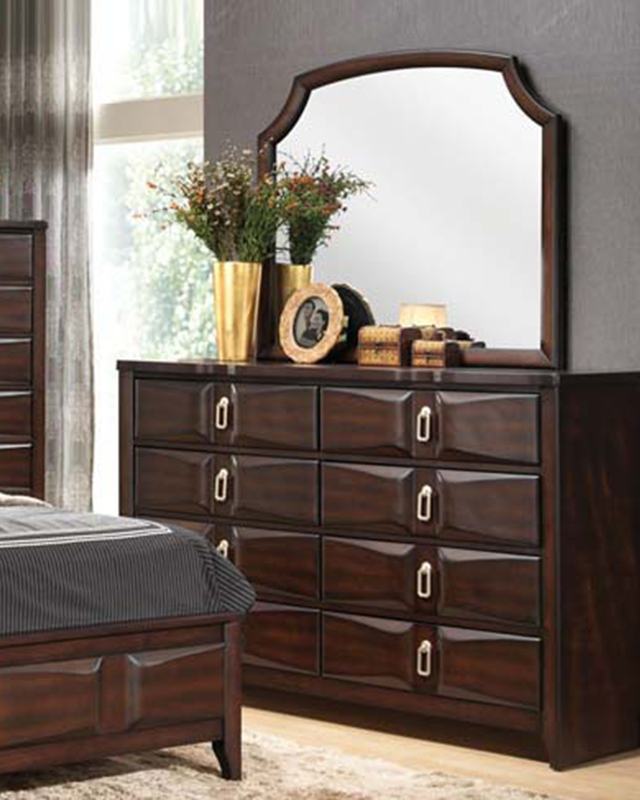 The Lancaster will create unique and modern taste to your bedroom. This collection features PU padded headboard with espresso finish, and the dovetail construction on drawers enhances the durability. The distinctive shape of headboard and mirror gives the bedroom a fresh look, and the special knob design on case pieces makes this collection timelessnesss for every bedroom.